Core records, both ice and deep-sea, suggest that the dominant character is that of a red-noise process or random walk. 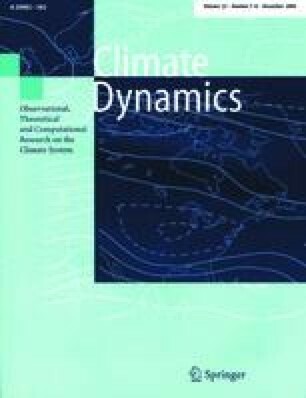 Examination of a few typical records supports the inference that the contribution of the Milankovitch frequencies to climate change at most represents only a small fraction of total climate variance. Most spectral densities are sufficiently "flat" that rates of change will be dominated by the highest frequencies present in the forcing. A broad maximum near 100 ky period can be readily rationalized without invoking an oscillator. One need only suppose that there is an approximate threshold beyond which the climate system collapses. The quasiperiodicity is then governed by a combination of the collapse threshold, the system memory time scale, and the intensity of the stochastic forcing. Changes in the forcing intensity would lead to a shift in the dominant time scale. Some inferred spectral power laws may be inaccurate owing to undersampling of the records.